Filled with energy and rich in diversity, Houston is a dynamic mix of architectural imagination, a brilliant talent and first class attractions, which raised the U.S. city to world-class levels. Every year, about 7 million tourists visit the popular American city. Houston has a thriving economy, beautiful views and a population filled with spirituality and optimism. Houston is without doubt the most popular of international destinations. The city has earned many nicknames, one of which is "Space City". This is because in 1967 the city was a major location of NASA. If you are wondering where to start tour of the city, first go to the Visitors Centre in the town council, where you will draw hundreds of ideas, thanks to which you can plan a successful visit, according to your interests and preferences. Town Hall itself is also one of the biggest attractions of the modern city. There are some places that are an absolute must to visit. You can start with Houston Space Center. Inside you will find many interesting exhibitions, including lunar rocks. At the Space Center is also an unique set of models of the spacecraft capsules "Gemini" and "Apollo", and many other technological artifacts, souvenirs and accessories from astronauts who conquered the moon. The center offers space simulations, 3D screenings, including monitoring of training of astronauts for mission cooking. Next step can be the aquarium. It provides an incredible opportunity to experience the world from near the water with its hundreds of exotic specimens and natural ecosystems. Marine life is recreated in its true form in huge cameras, where they even have models of shipwrecks and coral reefs. Entertainment complex Bayou Place is a top tourist destination in Houston. The area is situated on 12, 000 square kilometers, and brings together a great variety of theaters, cinemas, famous attractions, places of recreation and entertainment. According to data services in Houston, Bayou is annually visited by about 2 million people. The theatre complex in Houston is also a great center for thousands of tourists. The building is home to nine art organizations. It is second in the number of U.S. locations. The city takes care of several interesting museums, a large complex located in Houston (Museum District). Find time to visit the Houston Zoo, Hermann Park, the galery, Gerald D. Hines Waterwall Park, Memorial Park and the University Sports Complex - Minute Maid Park. 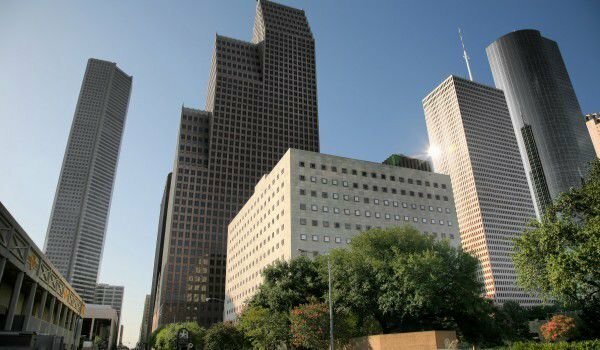 Houston business center is divided into several centers, namely Downtown, Uptown, Greenway Plaza, Westchase, and the Greater Greenspoint District. The largest city in Texas is the initiator of 400 diverse events and festivals held throughout the year. Some of them are the Houston Greek Festival, Art Car Parade, Bayou City Art Festival, and of course the traditional Gay Pride Parade. Houston is the fourth largest city in the United States. Data from 2010, shows that the city's population is 21 million people. Residents of Houston are as colorful as the city itself. The U.S. city is home to people from different ethnic and religious backgrounds. The town was founded in 1836, by the brothers Allen near the banks of Buffalo Bayou. Few people know that the city was named president of the then Republic of Texas - Sam Houston. The port of Houston is even considered one of the best in the U.S. - it ranks first in volume of processed transactions. Surely the city will fascinate you. Cosmopolitanism and the city's attractions are the biggest draw for visitors to Houston.